On April 28th 1859 prince Alexandru Ioan Cuza gave the decreee for the establishment of the Statistical Office of Walachia. As director of this office was appointed Dionisie Pop-Marţian. On July 1st 1859 Cuza gave the decree for the establishment of the Statistical Direction of Moldavia, director of which was appointed Ion Ionescu de la Brad. After just a few days, on July 12th 1859, the Central Office of Administrative Statistics was established by princely ordinance. Judging by the name, a possible common institution of the two Romanian principalities? Rather not, given the fact that the act of July 12th is signed by Cuza and cosigned by the minister secretary of state at home office Nicolae Kretzulescu, minister of department of interior for Walachia only. To us it is a bit unclear why the official act of July 12th 1859 is considered as marking the beginning of the official statistics in Romania. At that date two principalities still existed (with the same prince as head of the two states), as well as a Statistical Office and a Direction. Maybe the first, Walachian - first in chronological order, approved on April 28th - and second Moldavian offices had never acted as intended? 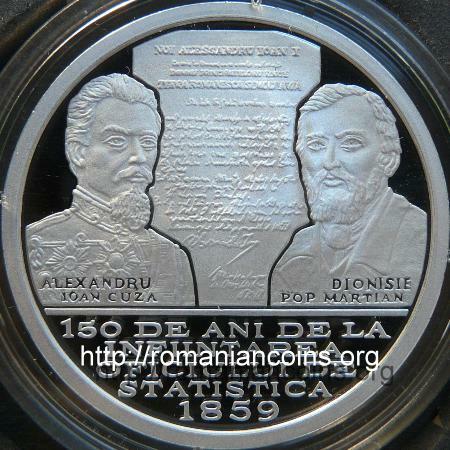 Dionisie Pop-Marţian was born in Alba (Transylvania, outside of the United Principalities at the time), at Ponor, in 1828. He studied at Blaj, and he graduated faculty at Vienna. Come into Walachia in 1857, he proposed the establishmenty of an office to deal with statistical issues. He died in 1865 of tuberculosis, in Germany. 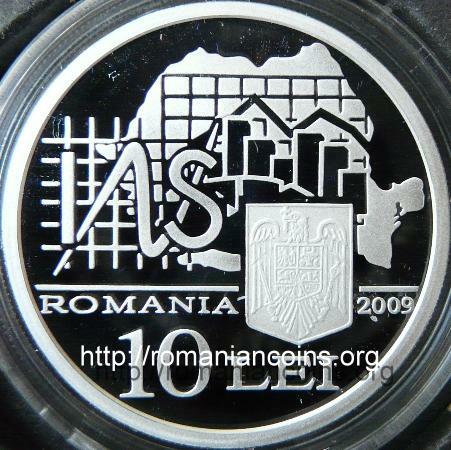 During the reign of Alexandru Ioan Cuza the Union of Moldavia and Walachia was accomplished and bases were set to major state institutions, many of them still running today. We take this opportunity to express the wish that in 2010, when 150 years (one century and a half) from the establishment of the oldest modern Romanian University in Iaşi, Moldavia, will be celebrated - university also founded by Alexandru Ioan Cuza - the old capital of Moldavia will not be forgotten AGAIN, as it happend in 2008, when the second largest city of Romania and the Romanian city of unparallel cultural importance celebrated 600 since the first documentary attestation without any coin issue noting it.